Looking for Lignite Mining Industry Email Database? Blue Mail Media can help! 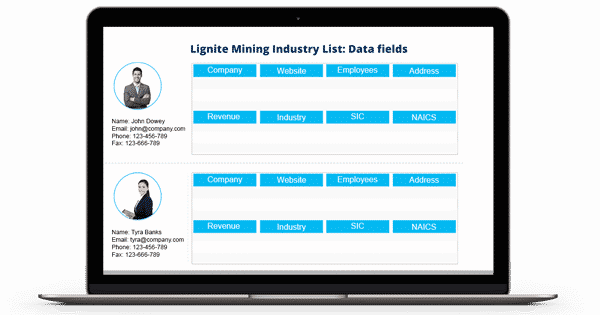 If you are planning for targeted marketing campaigns in this industry, our Lignite Mining Industry Executives Email List can be your most important strategic resource. Our list allows you to efficiently run your multi-channel marketing campaigns and increase your campaign response rate, conversion rate and ROI. Blue Mail Media has been a known name when it comes to delivering marketing data of the best quality. Our team of data scientists, experts and professionals follow a stringent process of data collection, verification and update so that you achieve greater success in your marketing campaigns. Our Lignite Industry Mailing List gives you access to all the data you may require to connect with your target audience via email, mail or telephone. Also, if you have specific campaign requirements, we can customize our Lignite Industry Database to suit your requirements. For your immediate campaign requirements, we also offer pre-packaged mailing list and email database.